Neal McCoy (born on July 30, 1958 in Jacksonville, Texas) is an American country singer of mixed Irish and Filipino descent. He stepped into the scene in the early 1990s, and currently lives in Longview, Texas. Neal McCoy was born to a Filipina American mother and Irish American father. His birth name is Hubert Neal McGaughey Jr., which he changed to Neal McGoy, and later to Neal McCoy. Neal got his start as an opening act for legendary country music artist Charley Pride. 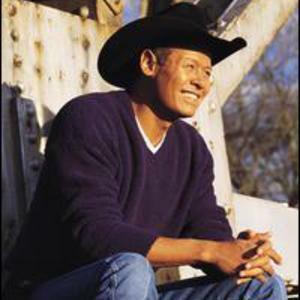 Neal McCoy was born to a Filipina American mother and Irish American father. His birth name is Hubert Neal McGaughey Jr., which he changed to Neal McGoy, and later to Neal McCoy. Neal got his start as an opening act for legendary country music artist Charley Pride. In July of 2006, Groovpix Entertainment and 903 Music released "Neal McCoy Live", a live concert DVD filmed at the Hodag Country Music Festival in Rhinelander, Wisconsin. This DVD features 14 of Neal's greatest hits, along with interviews, including General Tommy Franks. McCoy formed his own record label in 2004, known as 903 Music. His first single for his own label was "Billy's Got His Beer Goggles On", which reached the Top 10 on the Hot Country Songs chart in 2005. Darryl Worley and the Drew Davis Band were also signed to the label. In May 2007, Neal announced that the label has filed for bankruptcy and has closed its doors.